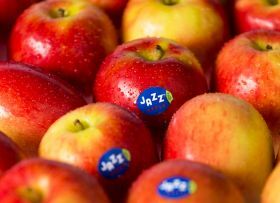 The production-base for Jazz apples continues to grow, with Germany the latest country to bring the fruit to market. Leading German group BayWa handled the first commercial harvest of the New Zealand-bred apple. Around 100,000 Jazz trees have been planted in the Weisenheim region of Rhineland-Palatinate since 2015. 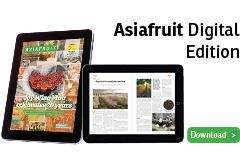 Bernd Kranz, site manager of the fruit wholesale market in Weisenheim, said the south of Rhineland-Palatinate offered optimal growing conditions for Jazz apples. BayWa is closely monitoring sorting results and fruit quality to identify further optimisation potential for the 2018 Jazz harvest and subsequent ones. A reference on the fruit’s packaging also draws attention to the fact it’s the first German crop of Jazz apples. BayWa has effectively owned the Jazz apple brand since acquiring New Zealand's T&G Global. T&G continues to coordinate the scope of production and defines the quality criteria. Only when an apple meets the stringent requirements can it be marketed under the Jazz brand.